Within this project we were tasked to first to build a model of three different sizes of planes based off the fibonacci spiral. 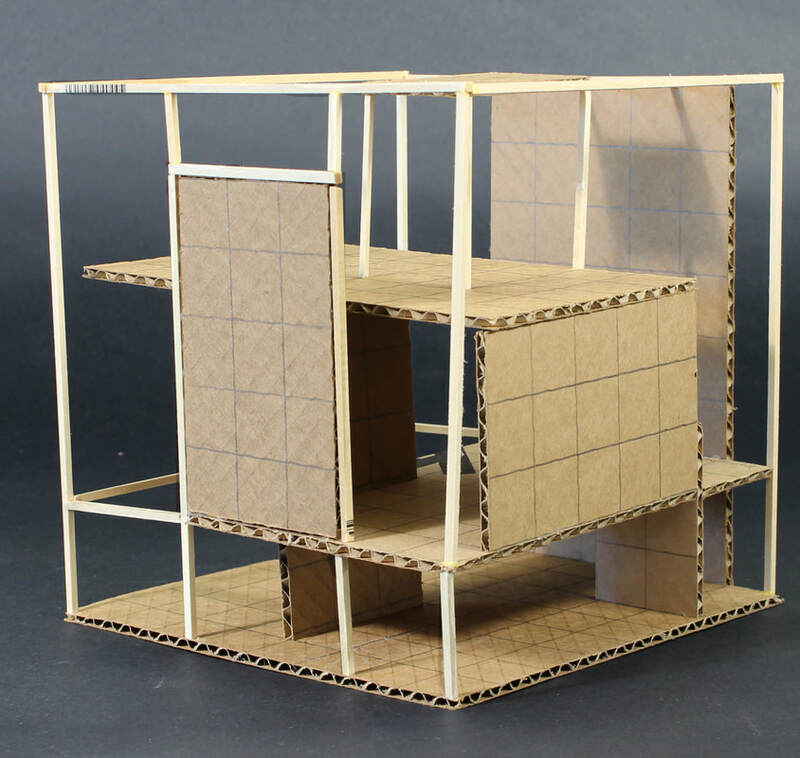 Our designs for the project were for sixteen feet cube however we built the cube scaled down to eight inches. 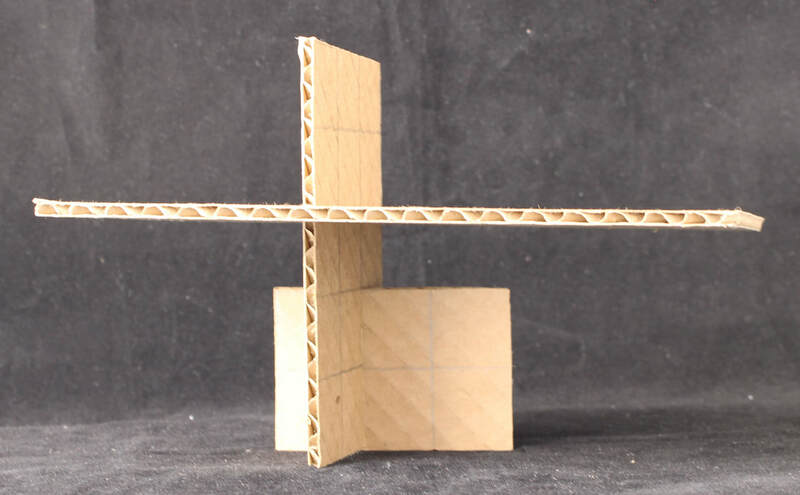 Then using our model and design we constructed a fibonacci cube based off the same principals for six added planes positioning them to initially form a primary and secondary space then other spaces resulting from them. 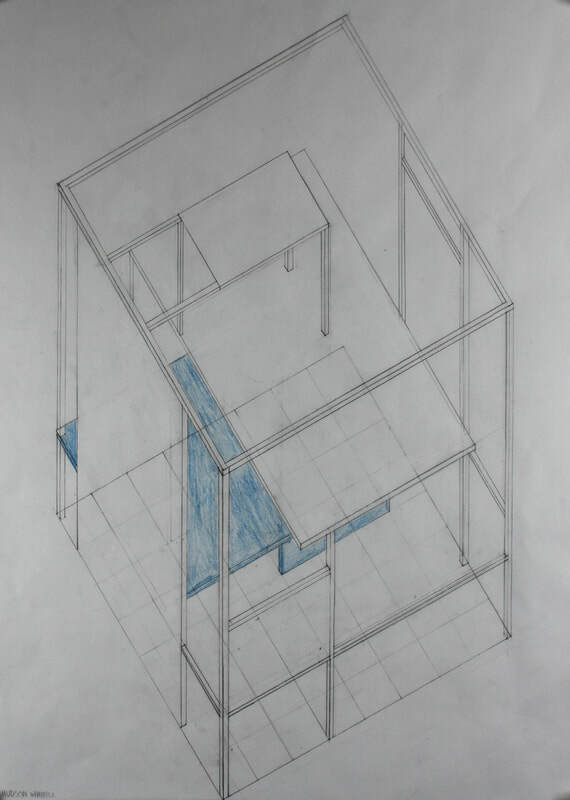 In my design for my three planes I tried to create a space that would separate the space into a room-like structure that I envisioned and I felt that the model I chose to go on with exemplified it the best which would help me to create all the spaces later on. 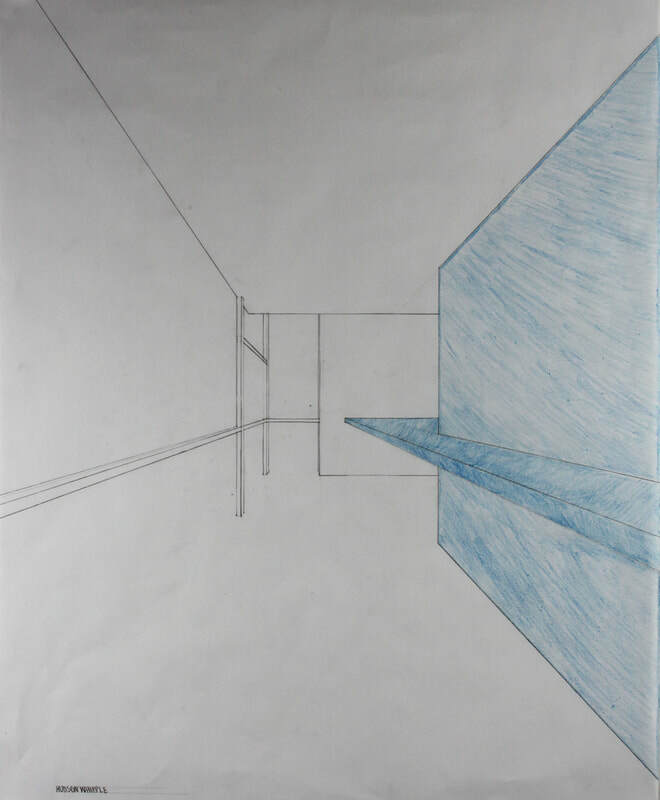 For my final cube, I started the designing process by closing in the space on the second level and hovering a plane to create an open space that extended across two levels. I then added the remaining planes to close off walls and define some added spaces as well as trying to take advantage of the space left on top. 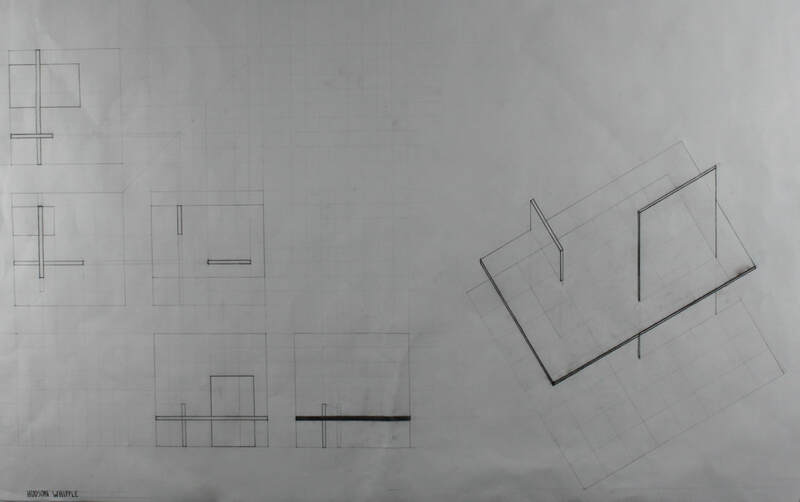 These drawings illustrate the cube and a perspective from the primary space on the ground level.